February 16, 2016 - U.S. Transportation Secretary Anthony Foxx, Assistant Secretary of State for Economic and Business Affairs Charles Rivkin, Cuban Minister of Transportation Adel Yzquierdo Rodriguez and President of the Cuban Civil Aviation Institute (IACC), Ministry of Transportation Colonel Alfredo Cordero Puig signed an arrangement that provides for the re-establishment of scheduled air services between the United States and Cuba. Immediately following the signing, the U.S. Department of Transportation (DOT) invited U.S. air carriers to apply for an allocation of the new opportunities to provide scheduled passenger and cargo flights. “We are excited to announce the availability of new scheduled air service opportunities to Cuba for U.S. carriers, shippers, and the traveling public, and we will conduct this proceeding in a manner designed to maximize public benefits,” said U.S. Transportation Secretary Anthony Foxx. In 2014, the Obama Administration announced its intention to re-establish diplomatic relations and embark on a process of normalization with Cuba. Less than one year later, in December 2015, after several months of negotiations, the governments of the United States and Cuba concluded negotiations on a non-legally binding arrangement to re-establish scheduled air services between the two countries. This new arrangement will facilitate visits for travelers that fall under one of 12 categories authorized by the U.S. Department of the Treasury’s Office of Foreign Assets Control. It also represents a major step forward in President Obama’s policy of engagement with Cuba. 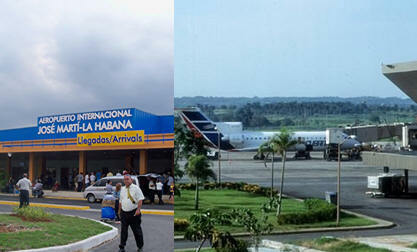 There have been no scheduled flights between the United States and Cuba for over half a century. The new arrangement provides each country with the opportunity to operate up to 20 daily roundtrip flights between the United States and Havana. The arrangement also provides each country with the opportunity to operate up to 10 daily roundtrip flights between the United States and each of Cuba’s nine other international airports, providing U.S. carriers with the opportunity to operate up to a total of 110 daily roundtrip flights between the United States and Cuba. The arrangement does not limit charter services, meaning that no DOT allocation procedures are needed and charter flights can continue as before. Today’s order invites applications from U.S. carriers and initiates a proceeding for DOT to select which U.S. carriers will be able to offer scheduled flights to Cuba, and from which U.S. points. In making its selection, the Department will consider which proposals will offer and maintain the best service to the traveling and shipping public. The Department recognizes the eagerness of U.S. carriers to take advantage of these new Cuba opportunities, and intends to reach a final decision as expeditiously as possible. DOT’s order states that applications are due March 2, 2016; answers to applications are due March 14, 2016; and replies to those answers are due March 21, 2016.